The People's Health Movement's WHO Watch team will be watching the EB 144 meeting. click read more icon for articles, MMI statements to the Executive Board and further analysis. The 71st World Health Assembly (WHA), being held in Geneva from 21-26 May, had a discussion on the Director General's report on health conditions in the occupied Palestinian territory and the occupied Syrian Golan, and a draft decision brought forward by 28 countries, asking the World Health Organization’s (WHO) Secretariat to continue with health-related technical support in Palestine. The report is the result of field observation and cooperation between WHO and Palestinian health authorities, aimed at strengthening the health system in Palestine. 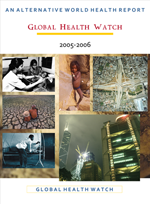 The General Programme of Work 13 (GPW) provides a framework for the WHO’s work in the coming five years. Geneva, 22 May, 2018: The 71st meeting of the World Health Assembly (WHA) kicked off in Geneva on Monday. The new Director General Dr Tedros immediately reassured the private sector that they would not be ‘fenced out’ of partnerships at the highest level of global health policy making. The World Health Organization (WHO) governing body will be meeting for a week to decide on the political direction of the institution. Key issues on the agenda will include the Organisation’s General Program of Work, medicines, vaccines, and non-communicable diseases. The 71st World Health Assembly is taking place in Geneva, May 21-26. 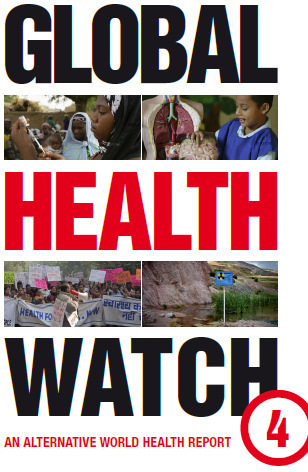 For over a decade, Global Health Watch has been the definitive source for alternative analysis on health and healthcare, challenging conventional wisdom and pioneering innovative new approaches to the field.